Ever since Sony announced PlayStation 2 would be backward compatible with PlayStation in 1999, gamers, consumers, and pundits alike have seen the hardware component as a must-have feature in all new consoles. Backward compatibility makes a lot of sense. Gamers might want to pack their old systems in a cabinet somewhere, but their favorite games will still have life with a system that hasn't rendered them dead. Sony, of course, gained major kudos for the addition, showing up Nintendo, which never made its consoles backward compatible (though it reversed that trend with GBA). With PS2, gamers felt like they were treated right, and parents felt their money hadn't been entirely wasted. But that was on PlayStation 2, back in October 2000. This is August 2005, and we're talking Xbox 360. Since E3, Microsoft hasn't said a single sentence on the topic of which games will be backward compatible. It's been frustrating for journalists and gamers alike. Officially, Microsoft's executives have said that Xbox 360 officially will be backward compatible with the Xbox's "top-selling games" (said Microsoft's Vice President Peter Moore at E3). But what are those games? How are the picked? How far back in the library will they go? And will your favorite games be there? Right now, the answers are murky. What we do know is that NOT all Xbox games will be compatible with Xbox 360. If you went strictly by the numbers, which is one way to interpret Microsoft's statement ("Xbox 360 will be backward compatible with the top-selling games on Xbox"), then the list is pretty easy to make. You've got Halo, Halo 2, a bunch of Ubisoft gamers, some EA games, a Tecmo game here and there, etc, etc. The problem isn't just a matter of picking and choosing from any old game. Since the Xbox 360 and Xbox aren't based on the same chipsets, nor are they using chipsets made by the same companies, making all of the Xbox games compatible with the Xbox 360 is tough. Many engineers have said it's actually impossible. The Xbox 360 was created with an IBM PowerPC based CPU with 3 symmetrical cores running at 3.2 GHz each. It's also using a custom ATI Graphics processor for the GPU. To make a long story short, these custom chips are nothing like the nVIDIA-based GPU and Intel-based CPU on Xbox. One of the main complications is that Microsoft would have to pay a small sum, a percentage of every Xbox 360 sold, to nVIDIA, if it were to include that chip in its new system. That's what Sony did with PlayStation 2; it simply put the necessary PlayStation 1 chips in the PS2, so nearly 99% of the PS one games were compatible. Microsoft isn't placing any Xbox chips in Xbox 360. Instead, it's working to emulate Xbox games on Xbox 360. I'm neither an engineer nor a programmer, so I won't try to precisely explain in technical terms why it's tough to make Xbox games compatible with the X360. But there are certain complications in making such a transition. The complications of making Xbox games compatible with Xbox 360 games are tied into how the chips process information, and how to translate that information on a standard basis from the old games to the new system. All console manufacturers require developers to follow certain code requirements to ensure basic quality and functionality. Many of the best Xbox developers, such as Ubisoft and Tecmo just to name a few, have gone above and beyond the requirements. In fact, a few have pushed their games to the metal, squeezing out as much performance as possible from Microsoft's system. So, it's likely that the most technically superior games will be backward compatible on Xbox 360. In an interview with ATI evangelist Richard Huddy, he explained certain basic truths about Xbox 360 backward compatibility. "(Microsoft has) implemented compatibility purely through emulation (at the CPU level). It looks like emulation profiles for each game are going to be stored on the hard drive, and I imagine that a certain number will ship with the system. They already have the infrastructure to distribute more profiles via Live, and more and more can be made available online periodically. "Emulating the CPU isn't really a difficult task. They have three 3GHz cores, so emulating one 733MHz chip is pretty easy. The real bottlenecks in the emulation are GPU calls - calls made specifically by games to the nVIDIA hardware in a certain way. General GPU instructions are easy to convert - an instruction to draw a triangle in a certain way will be pretty generic. However, it's the odd cases, the proprietary routines, that will cause hassle." If you put that statement together with Microsoft President Steve Ballmer's conversation on Engadget, you get this reality: Xbox 360 compatible games are going to be decided on a case-by-case basis. Microsoft's engineer's are, right now, figuring out which games are compatible, and which are "less" than compatible. Thus, at the 360 launch, only a few games, let's speculate that number is somewhere between five and 20, will be backward compatible. As Microsoft's engineers learn more, they'll release profiles via Xbox Live to be stored on the 20GB hard drive (which comes bundled with X360), enabling new games to work with the console. As time passes, more and more Xbox games will become backward friendly. This helps to explain the annoyingly vague "top-selling games" statement to a certain extent. But it still leaves burning questions. In all likelihood, Microsoft has created a list of the "top-selling Xbox games," and it's slammed them into an Xbox 360. It's testing these games on the system's emulation software to see how they work, where there are problems, and if there are general or systematic solutions to these problems. 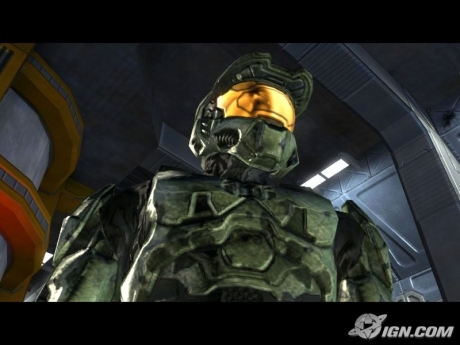 We know Halo and Halo 2 will be the first playable Xbox games playable on Xbox 360; they are, first and foremost, the top -selling Xbox games, and they're first-party titles. There. That was easy. Other popular first-party games are sure to be included. Which ones? From Microsoft the list is likely to include: Forza Motorsport, Fable, Project Gotham Racing 2, MechAssault and MechAssault 2: Lone Wolf, RalliSport Challenge 1 and 2, Crimson Skies: High Road to Revenge, Amped 1 and 2, and several others. Most likely, the second wave of compatible games will include the third-party games, such as EA's Madden and NBA Live series, Sega's 2K series (before 2K Games bought Visual Concepts), and a slew of Ubisoft (Tom Clancy games), Tecmo (Ninja Gaiden), Sega (various), LucasArts (KOTOR I and II), Activision (Tony Hawk, Doom 3, etc. ), VU Games (Chronicles of Riddick) and Rockstar Games (GTA) tiles. We spoke with Microsoft today on the subject, and the company has not, and will not, say anything other than repeat its statement made at E3 -- "Xbox 360 will be backward-compatible with top-selling Xbox games." The Xbox 360 manufacturer said that the announcement will come in due time. "Due time" either means this October or November (the console is rumored to ship in November), or on an irregular schedule, following the slow wave of engineer breakthroughs, whenever they happen. So, it's a waiting game. And it's going to be a frustrating one. The first list of backward compatible games, we suspect, will be short. But as time passes, the list will grow to include many more favorites. Does this help you decide between buying an Xbox 360 versus a Nintendo Revolution or a Sony PlayStation 3? Tough question. That question is always best answered by which new games you want to play. If it's the next Halo, get Xbox 360. If it's Mario, get a Revolution. If it's the next Naughty Dog or Insomniac game, get a PS3. But what about games such as Sega's beautiful and cult favorite Panzer Dragoon Orta or Jet set Radio Future, Acclaim's Aggressive Inline, Ubisoft's Deathrow, or Bethesda's the Elder Scrolls III: Morrowind? Not even Microsoft can answer those questions yet. The official 2002 NFLâ„¢ football season is still a few months away, but it's never too early to start thinking football -- and that means its never too early to start thinking Madden NFLâ„¢ 2003, com..